Last week I was finally able to compare this year’s insurance plans to next year’s insurance plans. 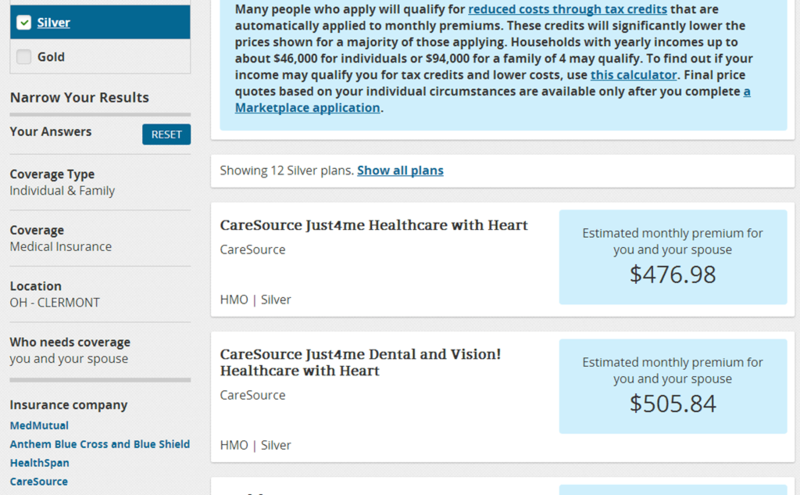 The federal site, www.healthcare.gov, has finally opened up a portion of their site to “window-shopping”. Considering my curious problems using the Kaiser Subsidy Calculator, I identified the 2nd lowest silver plan on the exchange and was surprised to find that the premium displayed looks like 2013 premiums. Since I expected most people would be shopping for 2014 insurance this was just another oddity from this web site. All was not lost. If I was correct then I had a good estimate of the 2nd lowest silver plan for 2013 and I could compare this premium to the 2nd lowest silver plan for 2014. The Affordable Care Act supporters loath to make this comparison because they do not like to be reminded that the 2013 plans for healthy people are very much like the 2014 plans except they cost considerably less. The 2nd lowest silver plan is the benchmark used by the Affordable Care Act used to calculate the amount of subsidy everyone gets and is probably a pretty good index of how much the Affordable Care Act has increased health insurance premiums. For Ohio using my demographics, 59, married, and healthy, the 2nd lowest silver plan costs $505.84. 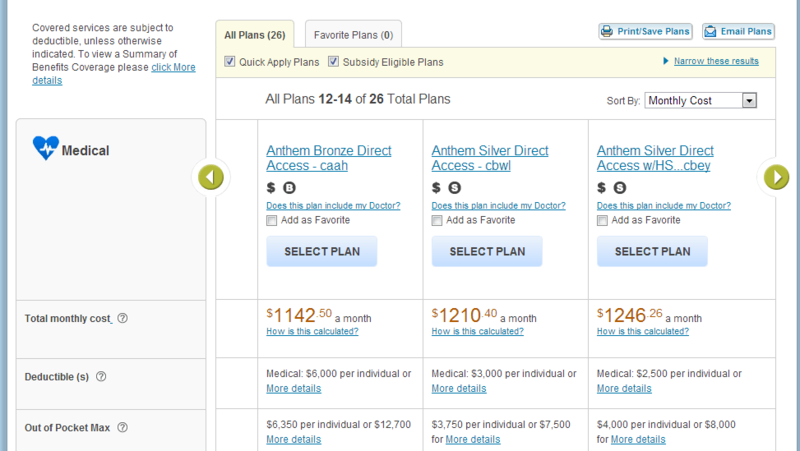 Since I cannot get 2014 prices without logging in, I chose to look up silver plans at the Anthem Blue Cross and Blue Shield web site. I chose them because they were the first well known company listed on the www.healthcare.gov screen image who probably is participating in the exchange for both 2013 and 2014. The 2014 prices on their site should be pretty similar to the 2014 exchange prices. According to their site the 2nd lowest silver plan for 2014(cbey) will cost $1246.26 or 146% higher than 2013 2nd lowest silver plan offered by the exchange. If I compare the 2014 rate to the 2013 rate for that plan it is 104% higher. This rate increase is considerably higher than the 55% to 85% estimate provided by 2011 Milliman report for Ohio that had so many people upset. It is hard to believe we are looking at a 55% to 65% increase as the good old days. Although estimates of health care cost increases are typically wrong on the low-side, the magnitude of this cost increase begs closer scrutiny and reminds me once again that my current grandfathered plan is so much better than the exchange plans. Does this price reflected an increased risk in the individual market due to the Affordable Care Act? Does this price reflect a gaming of the subsidy market by the insurance companies? The higher the 2nd lowest silver plan, the larger the subsidies. If there is a 2014 budget for the subsidy, will this higher than expected cost for the 2nd lowest silver force the government to pay more subsidy than they were expecting? Does the price reflect a “whatever the market will bare” pricing attitude by insurance company? This entry was posted in Healthcare and tagged healthcare, healthcare.gov. Bookmark the permalink.